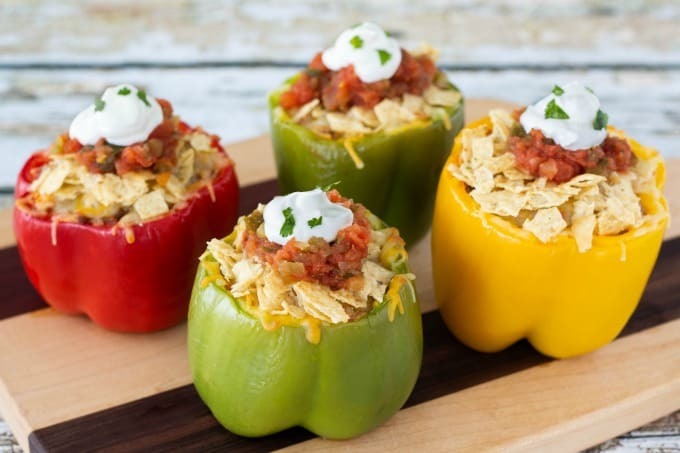 These Taco Stuffed Peppers take Taco Tuesday (and every other night) to a whole new level of deliciousness! Florida is amazing and there a quite a few advantages to living here! We’ve got beautiful beaches, awesome theme parks and nice weather pretty much all year round. Another great thing about Florida life? All the Fresh From Florida fruits, veggies and seafood. Not only do they taste delish but thanks to Fresh From Florida farmers, we can enjoy fresh produce all year long. Plus, when we buy it we’re supporting the local farmers so it’s a win/win all around! 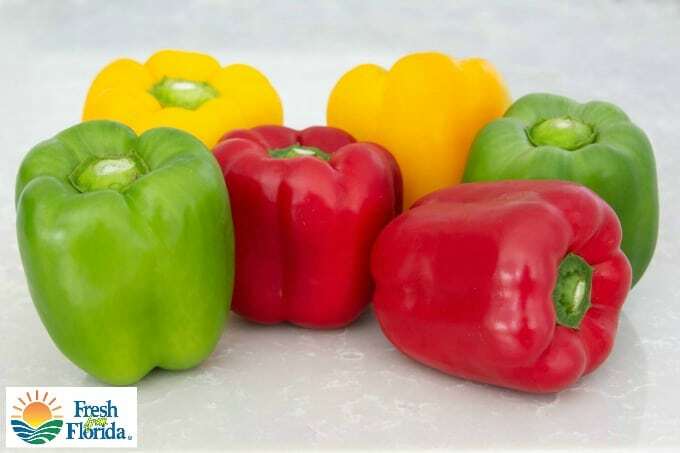 I always look for the Fresh From Florida labels when I’m shopping and right now I’m loving all the in-season squash, sweet corn and bell peppers…especially the bell peppers! I could eat bell peppers for every meal and we add them to everything from eggs to my salads. They add a ton of flavor and it doesn’t hurt that they’re good for you! 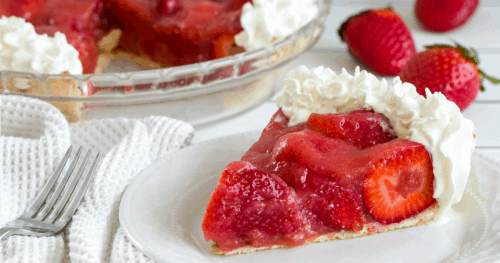 I’ve found plenty of awesome new ideas on the Fresh From Florida recipe page too. Peppers are also one of the few veggies that both my picky girls can agree on. They love when I top rice with bell peppers and chicken and mix in a little soy sauce. 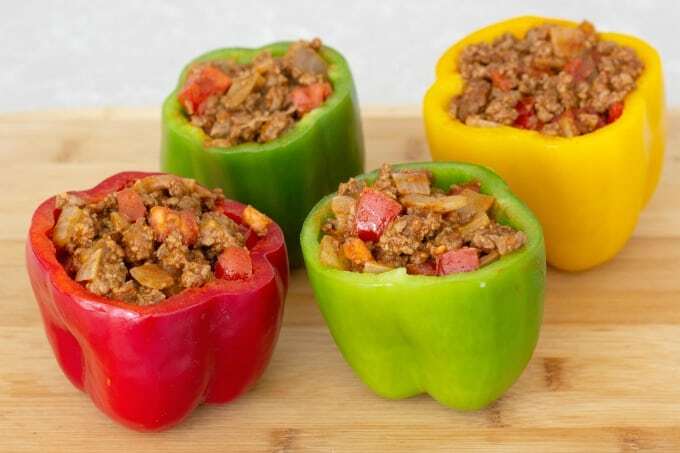 However, I get the “Best Mom Ever” award when I make their favorite, stuffed bell peppers. I’m not sure if it’s because they taste so good or because they love helping me make them. 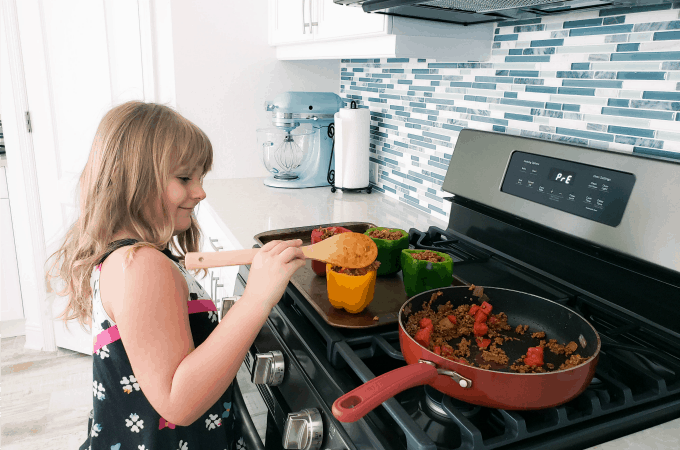 When I was checking out all the Fresh From Florida recipes for sweet corn, squash and peppers, I found this yummy looking recipe for Taco Stuffed Peppers, I knew exactly what we’d be having for dinner that night! 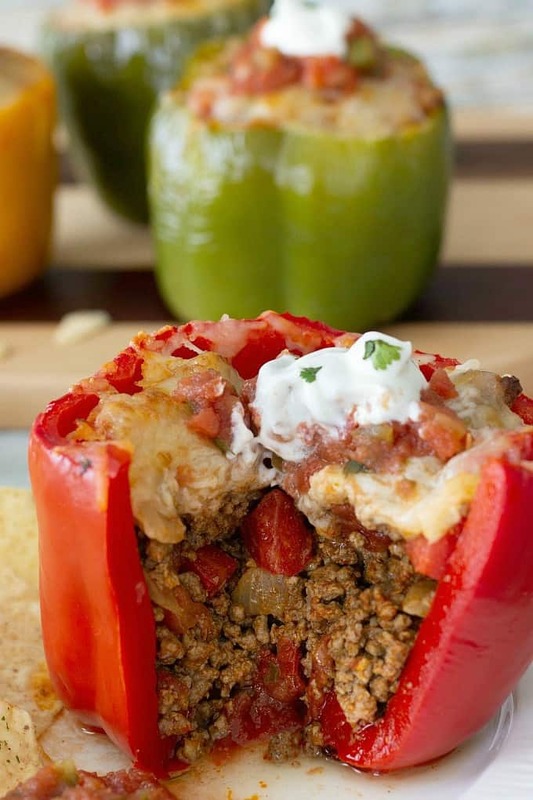 We eat tacos and bell peppers separately all the time so putting the two together sounded like a great combo! 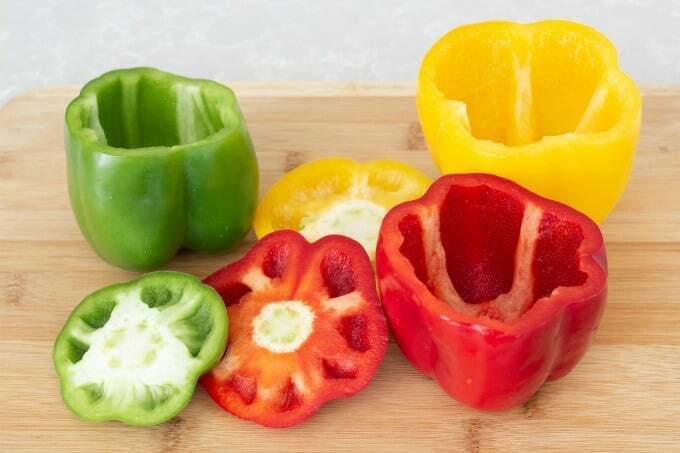 Start by cutting the tops off your bell peppers and removing all the seeds. Don’t throw away those tops though. That would be a waste of perfectly good peppers! I cut off the pepper around the stem and saved them for my scrambled eggs the next morning. Now it’s time to get cookin’. I love you can just throw all the ingredients in one pan for easy prep. 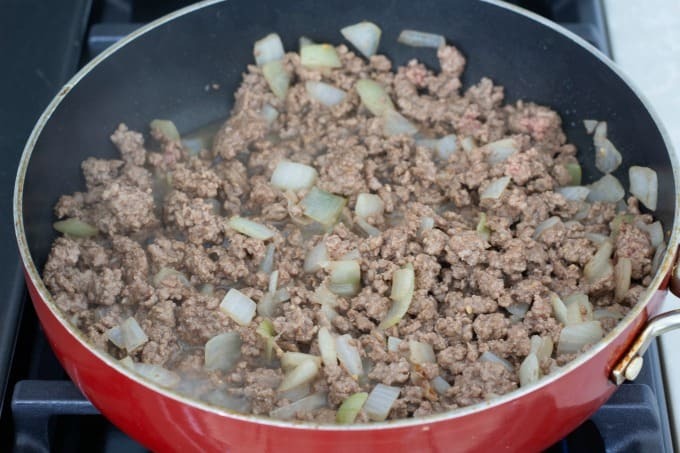 Start by sauteing the onions in a little olive oil, then throw in the garlic and beef. 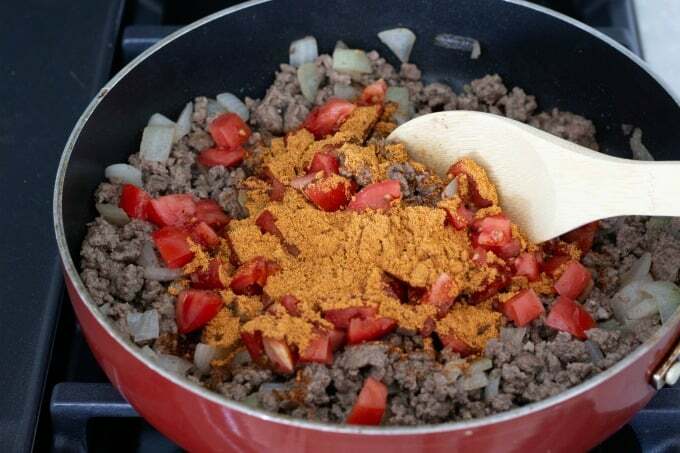 Once the beef is browned, drain it and add the tomatoes and taco seasoning. Finally, remove from heat and stir in four ounces of the cheese. Now it’s time to fill the peppers. The recipe says this makes three but I used medium sized peppers and had enough for four. It just depends on what size peppers you use so you’ll want to keep that in mind. 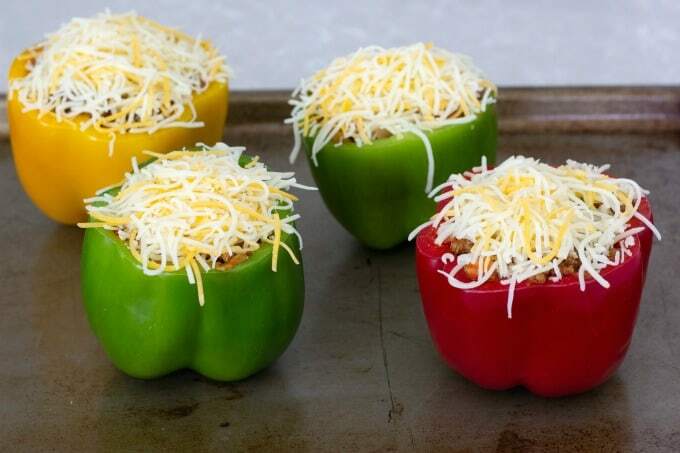 Top peppers with the remaining cheese. Bake for 15-20 minutes, until cheese starts to bubble, then add tortilla chips and bake five more minutes. Top with salsa and sour cream. I also happened to have cilantro in the fridge so I chopped a few leaves and added them as garnish too. The only drawback to adding the tortilla chips is that they don’t work well for leftovers. After being in the fridge overnight, they lost their crispness. 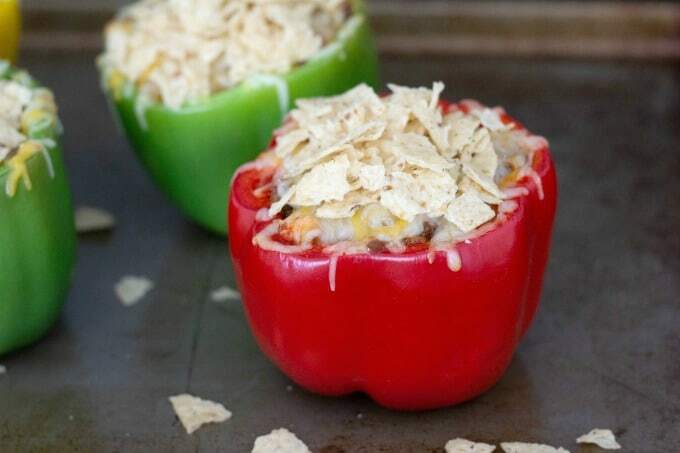 Since my girls can’t always eat a whole stuffed pepper in one sitting, next time I made them, I left off the chips. Yumm…I could eat these for dinner over and over. They’re SO good! Since we’d left the tortilla chips off, these tasted just as good when we had the leftovers for lunch the next day. 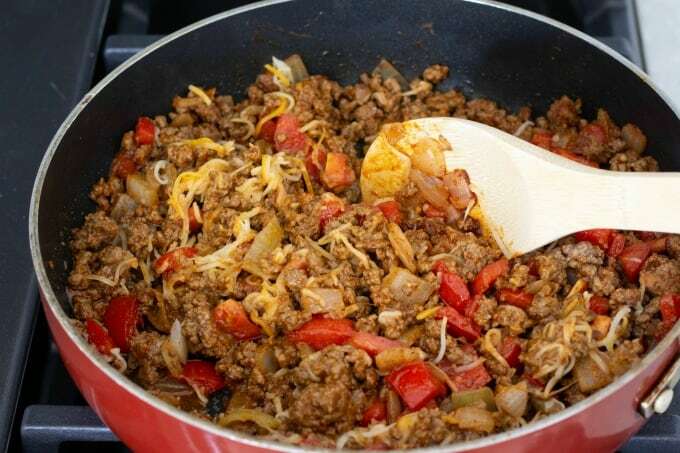 Tortillas are perfect for scooping up any of the meat mixture that fell out. 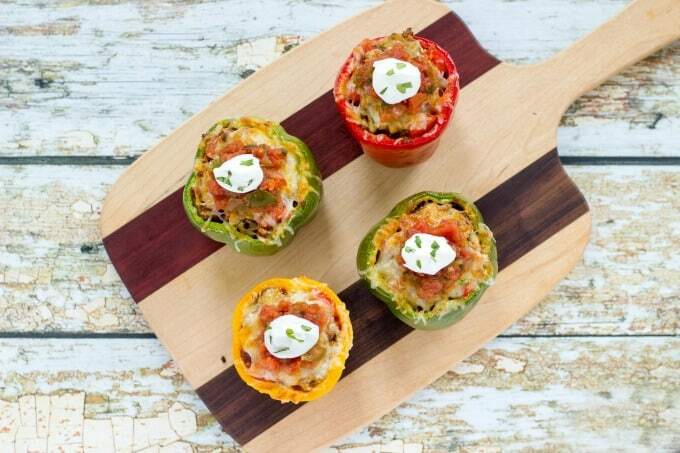 This might just be my new favorite way to eat stuffed peppers! 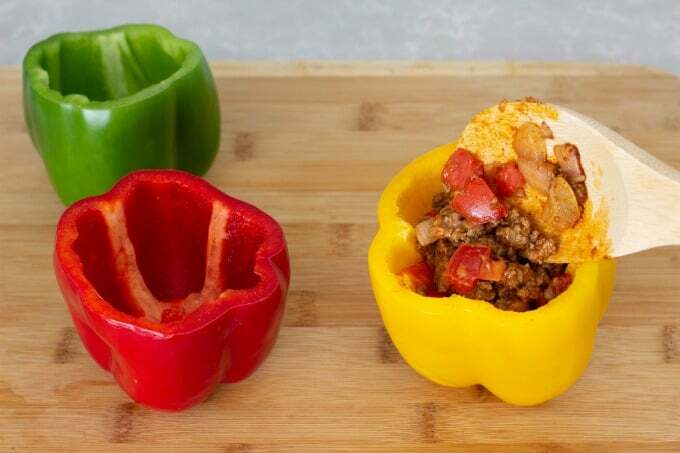 Wondering what sides to serve with these taco stuffed peppers? Spanish rice or a small side salad are both great choices. This totally varies according what you’re stuffing your peppers with. For this recipe, the meat is cooked before baking so the bake time is a relatively short 15-20 minutes. 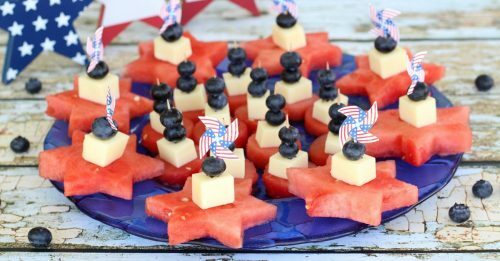 Remove peppers from oven when cheese is brown and bubbly. Let cool slightly and serve with salsa and sour cream. 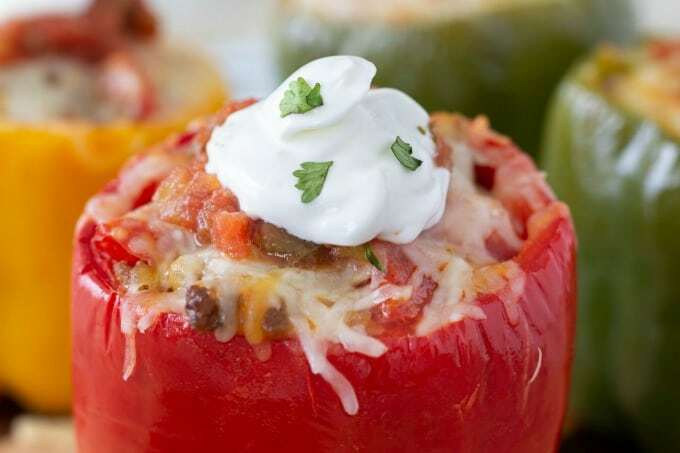 The great thing about stuffed peppers is that you can fill them with just about anything! 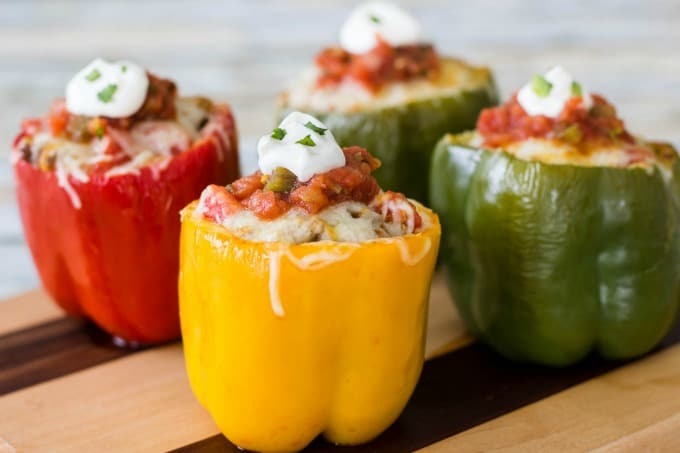 How do you like to eat your peppers? 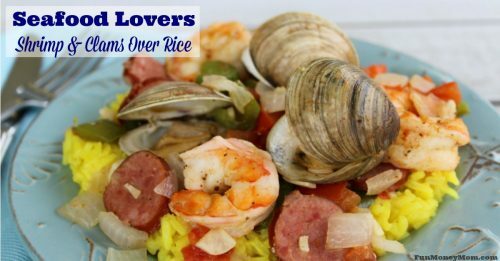 If you liked this recipe, you may want to check out some of my other Fresh From Florida recipes too!